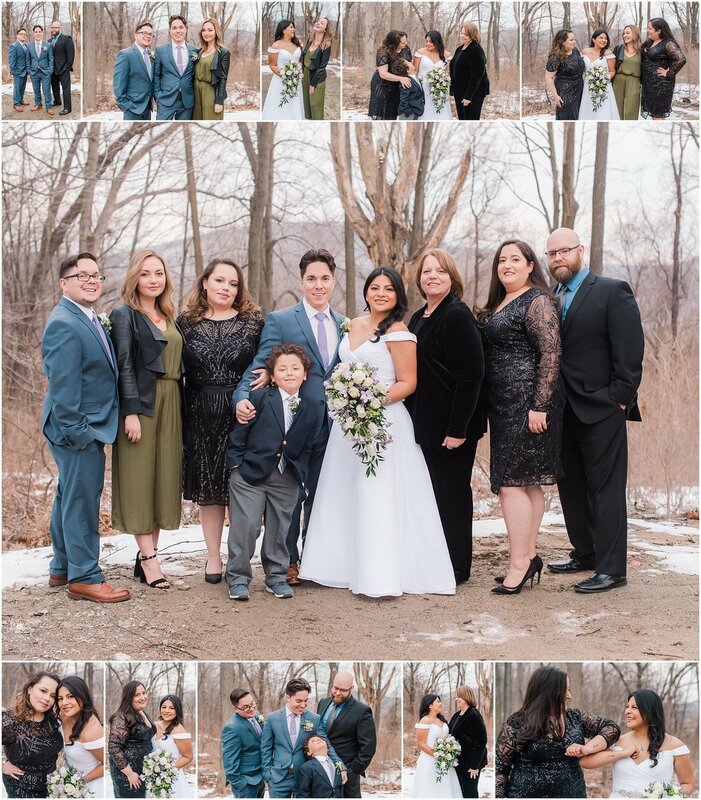 Erika and Eric eloped in the beautiful mountains of northern New Jersey at The Mohawk House in Sparta. 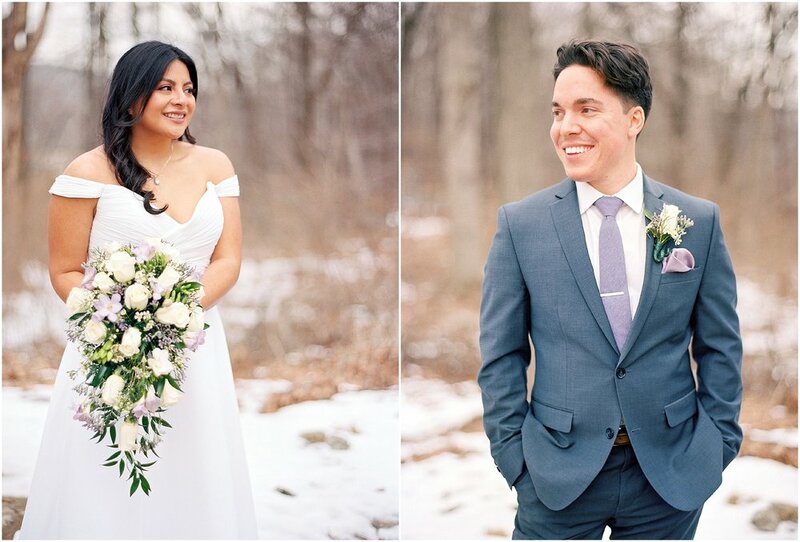 They had an intimate ceremony inside the lodge followed by a walk outside to take portraits. 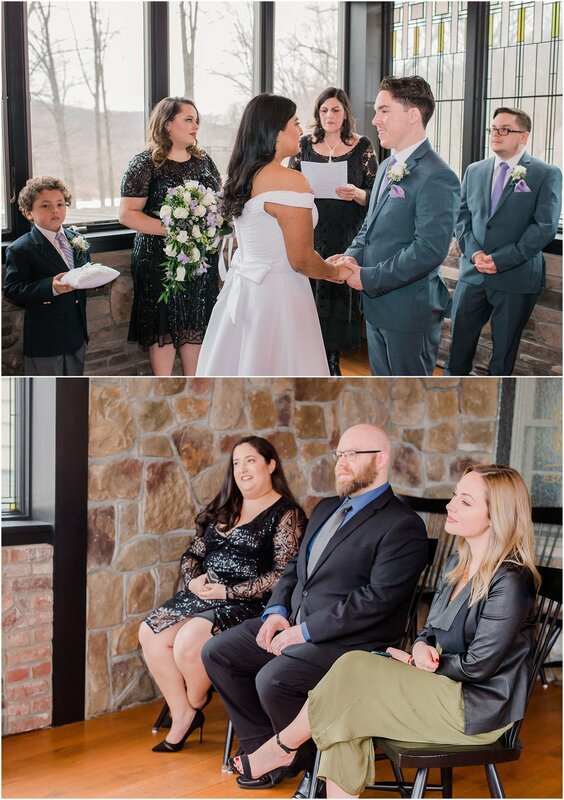 Their ceremony took place in mid-March and we were lucky that there was still snow on the ground because I think it made for a beautiful backdrop. Erika and Eric are so sweet and I was really excited to be a part of their secret wedding ceremony and I truly felt very honored to document it for them. 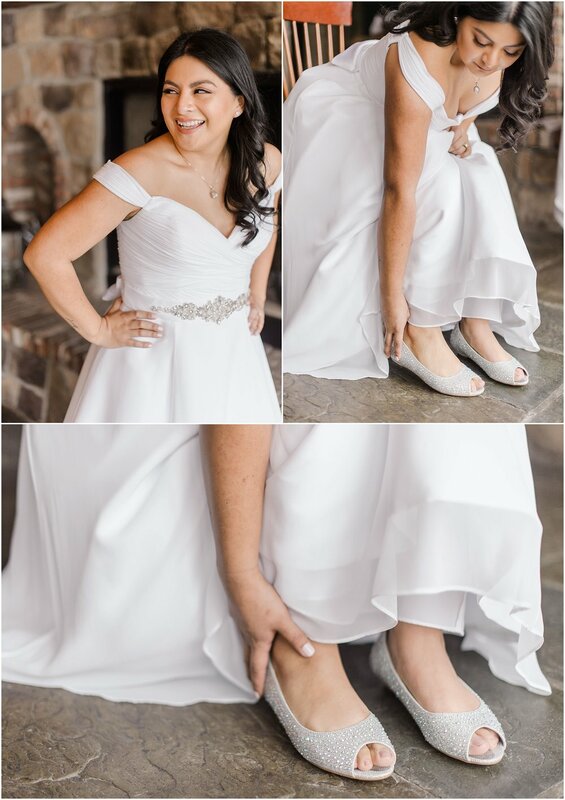 Eric was in awe of his bride, as she looked stunning, and it was so touching how he helped her with her dress, opened all doors for her, and did his best at every turn to make sure she was having an amazing time. They wanted to share a special first dance to the song, “Earth Angel.” They also emphasized the importance of photographing the first slicing and tasting of their cake. I must say, that cake – made by Vaccaro's Bakery – was incredibly delicious. From the first time I chatted with Erika, I could sense she was a very sweet soul and I really loved talking to her. Eric and Erika's love of their fur-baby kitties made me so happy, especially because one of their cats reminded me of my very first cat :). They decided not to bring them to the ceremony, but honored them with little cat cut-outs that were put on top of the cake. Yay! 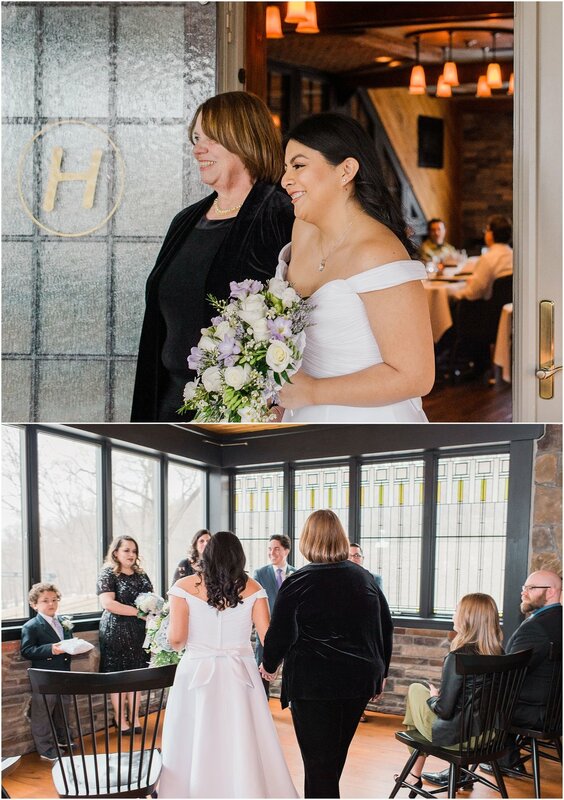 Capturing elopements is such a lovely privilege because, by the end, I feel such a connection with everyone involved and I’m overjoyed for the couple and their family and friends! The fact that I was able to witness and document these kind-hearted, wonderful people getting married makes me feel really special. Erika and Eric, thank you so much for choosing me as your photographer. I’m incredibly happy for you guys and wish you the very best on your new adventures together as husband and wife! Are you interested in eloping or having an intimate wedding ceremony? Let’s talk!